Please note we will be CLOSED on Good Friday, but OPEN on Easter Saturday as normal, from 10am-5pm. 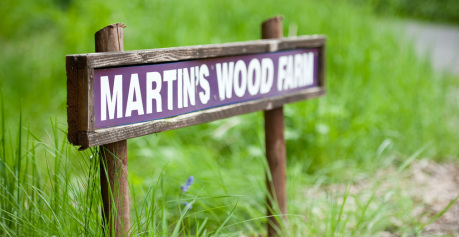 Martins Wood Farm is a family run business, in an idyllic setting at the foot of the South Downs. We are based in a beautiful woodland location, where our hens are able to roam around amongst the trees. We sell 11 different breeds of hybrid hens which are all fully vaccinated. 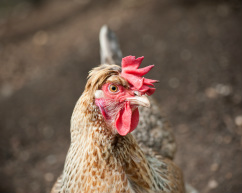 Please see Our Hens page for more information and photos of each of our breeds and details of the vaccination programme. Chickens make wonderful family pets. They are comical, inquisitive, sociable and each has their own personality. Once you are set up for hens they are easy to look after and will provide you with plenty of entertainment and of course lots of delicious fresh eggs. Nothing beats the taste of eggs laid that day by your own hens. It is great to know where your food is coming from and become more self sufficient as well as knowing that the eggs have been laid with love! Chicken keeping is incredibly popular with hens being very adaptable to a range of garden styles and locations from the town to the country and even on allotments. We are proud of the personalised service we provide to our customers and offer a lifetime of free advice! It would be our pleasure to introduce you to the delights of chicken keeping if you are new to it and we have everything here you could possibly need to get started including a range of coops, feeders, drinkers, bedding, care accessories and more. We also enjoy catching up with our seasoned hen owners and discussing the latest news and products. We make every effort to have both happy customers and happy hens. Chickens make the perfect pets and we have initiated a lifelong love of this addictive hobby with a range of people from age 3 to 93, proving that it is perfect for both the young and the young at heart! The whole family can get involved and you will be rewarded with the most delicious eggs. MWF is fully stocked with lovely things for your feathered friends and for you so please check out our Farm Shop page to give you a little taster. We also have plenty of goodies for you and your family too including our own home reared meat, local preserves and ice cream and lots of chickeny gifts. We provide a Holiday Hen Boarding service which enables you to go on holiday while your chooks come to us for a little vacation of their own. To find out more about this service, please go to our Holiday Hens page. We also supply our hens wholesale across East and West Sussex, Kent, Essex, Surrey, Hampshire, Dorset, Somerset and Devon. If you are a trader looking for a wholesale supplier of point of lay hybrid hens please contact us to discuss quantities and prices. If you have any questions that are not answered from this website, or you would like further information about us or our hens, then please contact us as we'd be happy to help. Please see further down this page for directions on how to find us. In August 2018 we posted a slightly cryptic message on our social media channels to say we were out on an exciting adventure with two hens from our laying flock. At the time, we weren't able to elaborate on the events further, but we are so excited to now be able to reveal that we were actually on set for a photo shoot with The Little White Company! Here are our two beauties in action, one of our Goldlines and one of our Rhode Rocks. They were the most fabulous models! Find out more about the gorgeous new Spring/Summer collection from The Little White Company here. If using a Sat Nav our postcode is BN8 6AR, but they do not always put us in quite the right place- sometimes we end up half a mile further South towards the village of Ripe. Don't despair, we're just round the corner!! We are situated in East Sussex between Lewes, Uckfield and Eastbourne, just outside the small village of Ripe. From Lewes head East along the A27, heading towards Eastbourne. Drive along this road for approximately 4 miles. You will see a turning on your left, sign-posted to Ripe and Laughton. Take the turn here and follow Firle Road until you reach the centre of Ripe. You will see The Lamb Inn pub on your right and the village shop ahead of you. Take the left turn at the small round-about which leads you on to Ripe Lane and is sign-posted towards Golden Cross. Follow this road for just over 1 mile. The road takes a sharp bend to the right and you will find us a hundred metres along on your right. From Uckfield head South along the A22, passing through Halland. Continue along the East Hoathly bypass (A22) until you reach Golden Cross. You will see a BP Garage on your left and a pub called The Golden Cross Inn on your right. Take a right turn here, and again instantly so you travel down the side of the pub car park, along Deanland Road, following signs to Ripe and Deanland Airfield. Continue for just over 1 mile until you reach a sharp right hand bend. You will see us shortly after on your left. From Eastbourne travel North along the A22, bypassing Hailsham. You will reach the Boship roundabout where you need to take the first exit, continuing along the A22 towards Uckfield for approximately 2 miles. You will see a BP Garage on your right up ahead, and The Golden Cross Inn on your left. Take the left turn just before the pub and then instantly turn right so you travel down the side of the pub car park, along Deanland Road, following signs to Ripe and Deanland Airfield. Continue for just over 1 mile until you reach a sharp right hand bend. You will see us shortly after on your left. Martins Wood Farm is a no smoking site. We ask that children are supervised at all times as we are a working farm and there can be hazards around. It is very important that they do not wander off by themselves. Dogs must be kept on a lead and if they foul it is the owners responsibility to clean it up. If dogs are causing stress to the hens we will ask that they are kept in a ventilated car.